The old village of Grendon lies on the north-western tip of Warwickshire, divided from Leicestershire by a small stream and by the River Anker. Grendon has since enlarged and is currently at a population of around 1000. 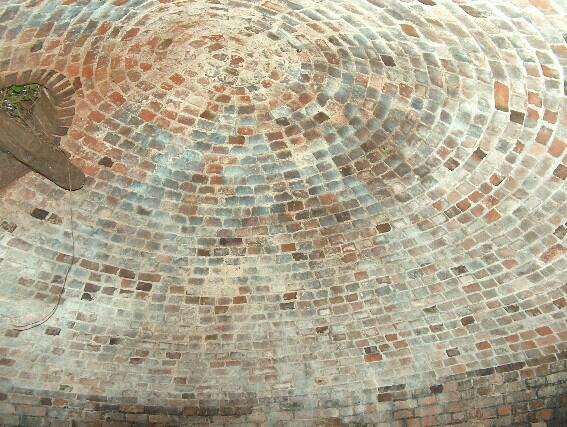 Prior to 1066, Grendon was held by the Saxon, Siward Barn, but was passed to Henry de Ferrers by William the First. There is a record of a mill on the Anker in the Doomsday Book of 1084. 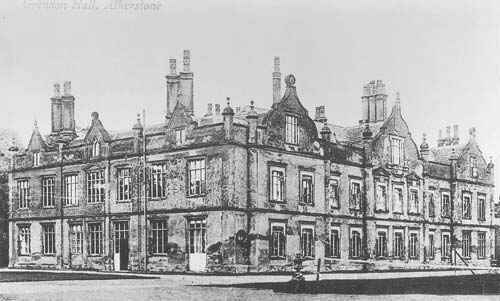 The de Ferrers family became overlords of Grendon whilst possessing other lands in the Duchy of Lancaster. Grendon was held for them by various families including the Camviles but in 1242 Roger de Grendon appears holding both Grendon and Whittington. In 1253 the rector of All Saints is shown as Henry de Grendon. The de Grendon family held the tenancy of the lands until the mid-1300’s when various marriages saw the tenancy pass to the de Chetwynds. "Henry de Ferrers holds Catmore and five and a half hides in Grendon and Turstin holds of him. There is land for 16 ploughs. There are 24 villans and sixteen bordars with eight ploughs. There is a mill rendering 5 shillings and 36 acres (150,000 m2) of meadow, woodland - one and a half leagues long and one league broad. It was and is worth 40 shillings. Siward Barn held it." Five generations of Chetwynds held Grendon until Grendon Hall was pulled down in 1933 and the last baronet, Sir Victor, died in 1935. 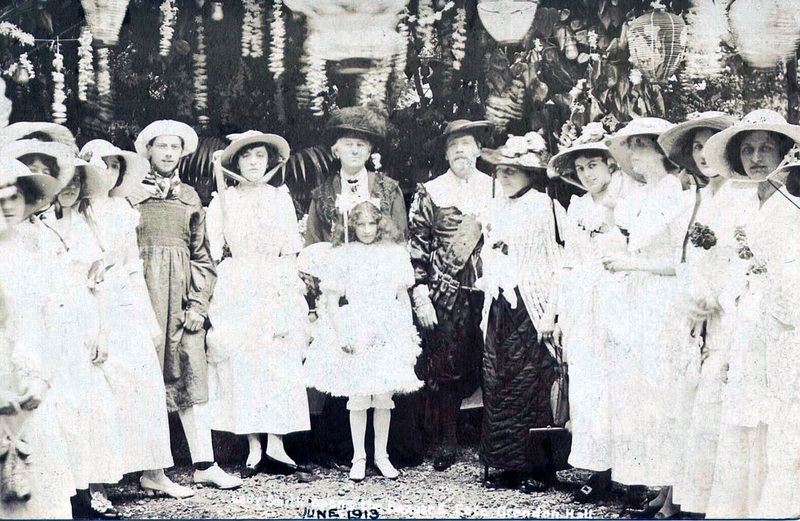 In its heyday the Hall provided many locals with employment such as maids, gardeners etc. Grendon was popular with royalty in this bygone age and many times in the late 1920s the late Duke of Windsor, the Prince of Wales, could be seen when visiting the home of Mr and Mrs Harry Brown at the Croft House. Mr Brown owned a string racehorses and the Prince was often seen out riding. The jockeys lived in a house situated on the drive leading to the church and their skills were an impressive sight to behold when exercising the horses in the nearby fields. 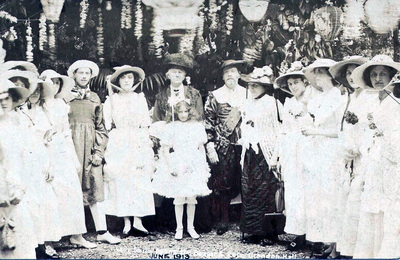 Several local girls had romantic encounters with the jockeys, culminating in at least one wedding! 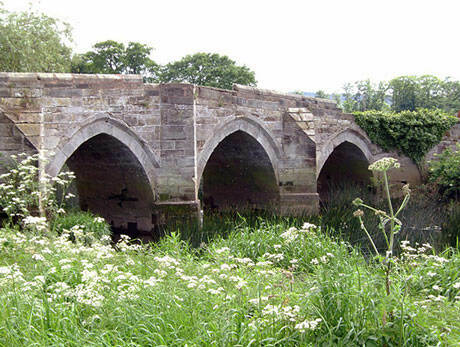 However, there are several structures of age which remain, most notably the bridge over the River Anker, which in its current form dates back to 1633. The old servants' quarters is now a residential property and several old barns and stable buildings have also been converted into residential properties. It is rumoured that the houses located on Farm Lane, originally to house farmworkers of Grendon Farm, were built on foundations created from the rubble produced in the demolition of Grendon Hall - although another rumour has it that the Hall not demolished, rather it was purchased by an American who had it shipped brick by brick to his home town and restored to its former grandeur. In the woods off Farm Lane can be found a well-preserved underground ice house, which would have been used as a place to store ice to serve the manor house's rudimentary refrigeration needs. This structure is of red brick, with a domed ceiling and is covered by a thin layer of earth. Ice would have been insulated with straw and if the ice was in large enough quantity it would have kept until the following winter. There are several other mounds of brick and earth in these woods suggesting other structures once existed as well. Parts of the neighbouring All Saints Church date back to the 12th century, but the tower is a much later addition from 1845. The churchyard has several graves dating back to the 17th century and possibly older, but due to corrosion on some of the graves this is difficult to verify. "GRENDON, a parish in Atherstoge district, Warwick; on the river Anker, the Coventry canal, and the Trent Valley railway, continuous to Leicestershire, 2½ miles NW by N of Atherstone. 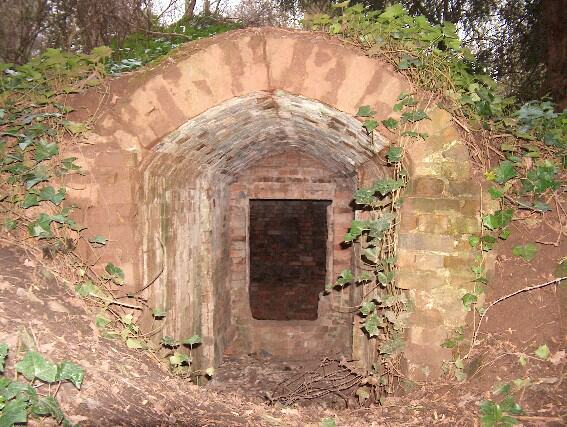 It includes Whittingtog hamlet; and its post town is Atherstone. Acres, 2, 360. Real property, £3, 172. Pop., 561. Houses, 115. The property is divided among. a few. 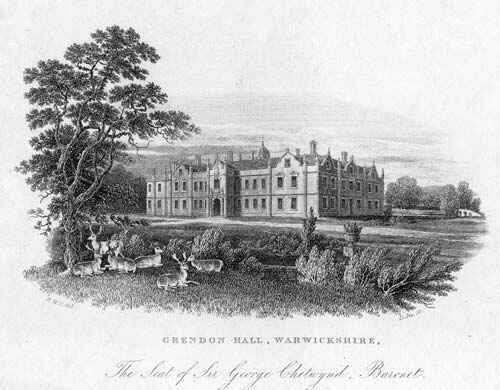 Grendon Hall, a fine large edifice, mainly rebuilt in 1825, is the seat of Sir George Chetwynd, Bart. The living is a rectory in the diocese of Lichfield. Value, £525. * Patron, Sir G. Chetwynd, Bart. The church consists of gave, chancel, aisles, and transept, with embattled tower; and is good. Charities, £5." 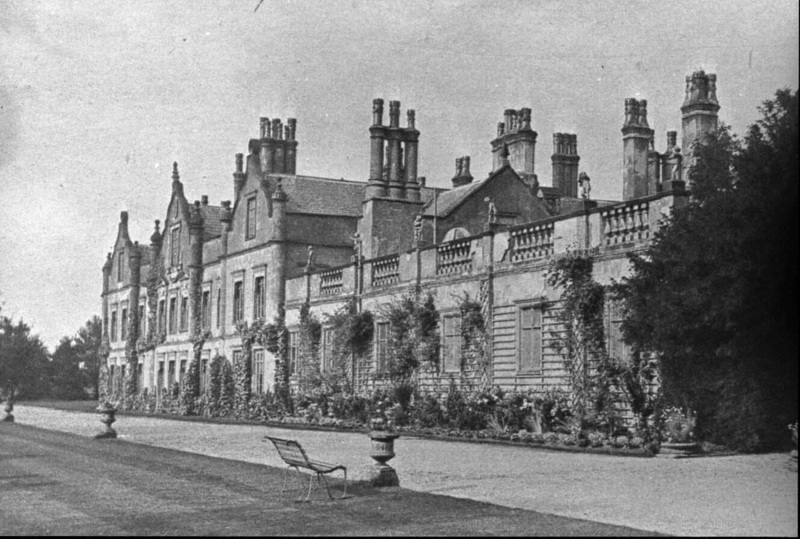 You can read a contemporary account of the demise of the Hall from the Tamworth Herald, November 19, 1932 here: ﻿﻿﻿Grendon Hall: Sad Fate of a Well-known Mansion﻿﻿﻿ (column 6). 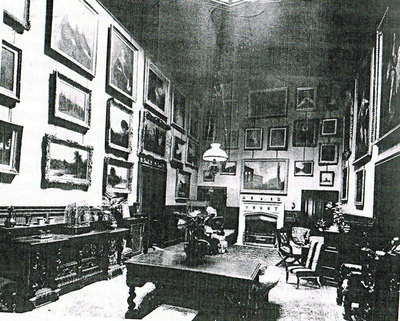 The interior of Grendon Hall.